GlaxoSmithKline (GSK) and Verily (formerly Google Life Sciences) have formed a joint venture to develop and commercialize bioelectronic medicine – miniaturized nerve implants that modulate electrical impulses to treat certain diseases. 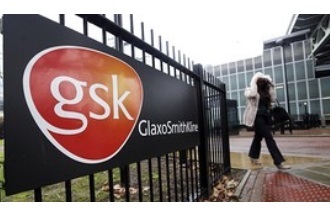 GSK is a pioneer in bioelectronics, having started research and development work in 2012. It later set up a $1M Innovation Prize, and poured $50 million into its Action Potential Venture Capital (APVC) fund to support startups interested in this relatively nascent field. Among them is SetPoint Medical, which is using bioelectronic implants to treat rheumatoid arthritis and Crohn's disease. But the British pharmaceutical company is making its biggest move yet in bioelectronics with its collaboration with Verily. The two companies will form Galvani Bioelectronics to tackle several chronic diseases, including diabetes, asthma, and arthritis. Both will give intellectual property rights and invest up to £540 million over seven years to jump-start the partnership. GSK will hold a 55 percent stake in Galvani, while Verily will have the remaining 45 percent, according to a press release. "The new company will bring together GSK’s world class drug discovery and development expertise and deep understanding of disease biology with Verily’s world-leading technical expertise in the miniaturisation of low-power electronics, device development, data analytics and software development for clinical applications," GSK stated. GSK has made considerable progress with bioelectronics since 2012. It is now testing early prototypes of pill-sized bioelectronic implants in rats, with the ultimate goal of making implants as small as a grain of rice that attach to nerves. The company plans to begin human trials next year. Initially, the new company will work on establishing clinical proofs of principle in inflammatory, metabolic, and endocrine disorders, including type 2 diabetes, and developing associated miniaturized, precision devices, said GSK. "We have had really promising results in animal tests, where we've shown we can address some chronic diseases with this mechanism, and now we are bringing that work into the clinic," Kris Famm, GSK's head of bioelectronics research and newly-appointed president of Galvani, told Reuters. "Our goal is to have our first medicines ready for regulatory approval in seven years." GSK believes bioelectronic implants, also called electroceuticals, will offer a new therapeutic modality alongside traditional prescription drugs and vaccines. But the new company's initial team of 30 expert scientists, engineers, and clinicians has some ways to go. Remaining challenges include further miniaturization, how to devise better energy storage (i.e., low power), and ensuring biocompatibility of implants. “This is an ambitious collaboration allowing GSK and Verily to combine forces and have a huge impact on an emerging field. Bioelectronic medicine is a new area of therapeutic exploration, and we know that success will require the confluence of deep disease biology expertise and new highly miniaturised technologies," said Brian Otis, Verily’s CTO. Galvani Bioelectronics is named after Luigi Galvani, an 18th-century scientist who is best known for his work on bioelectricity and his experiments animating severed frogs' legs using jolts of electricity, according to The Verge. The new company will be headquartered within GSK’s global R&D center at Stevenage in the United Kingdom, with a second research hub at Verily’s facilities in South San Francisco.